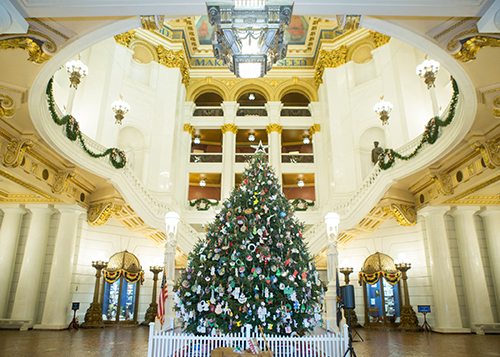 PA State Rep. Fred Keller - Merry Christmas and Happy New Year! Celebrating one of Pennsylvania’s top industries, the Pennsylvania Farm Show near Harrisburg will kick off Saturday, Jan. 6. The show will run through Saturday, Jan. 13. The Farm Show, which features 6,000 animals, 10,000 competitive exhibits and 300 commercial exhibitors, emphasizes the importance of agriculture in daily life, highlights the latest in ag technology and advancements, and offers attractions for all ages. Admission to the show is free, but parking is $15 per vehicle. Shuttle service is provided. More information is available at www.farmshow.pa.gov. High school seniors interested in receiving financial assistance to help pay for college can now apply for a Pennsylvania House of Representatives Scholarship. Each year the program awards four-year scholarships to two students preparing for post-secondary education. The scholarship is privately funded by individual and corporate donors; no tax or other public funds are used, and it is administered through the Foundation for Enhancing Communities. The program is open to graduating high school seniors who are Pennsylvania residents with plans to attend a Pennsylvania college, university or career school as a full-time student. Students must have attained a minimum 3.0 cumulative grade point average in high school in order to be eligible for a scholarship. Other factors taken into consideration for the awards are a student’s commitment to community, leadership qualities, extracurricular activities and financial need. The application is available through the foundation’s website by clicking here. The application deadline is March 1, 2018.